Please note, the 20 Litre version of this product is available on special order only - expect a minimum of 2 week lead time. Rustoleum Noxyde Pegarust Paint is a rust preventing solvent based paint that can be applied in temperatures as low as -5°C. Rust-Oleum Pegarust Solvent-Based Noxyde Paint is a rust preventing coating that can be applied in temperatures down to -5 degrees Celsius. It can be applied to damp surfaces and is rain resistant in two hours. Pegarust acts as an all-in-one primer and topcoat and is ideal for coating cladding and other metal surfaces. Rust-Oleum Pegarust Solvent-Based Noxyde has excellent elasticity of 200%, meaning it will bend and move with the surface or substrate without cracking, flaking, peeling or blistering. Pegarust offers unrivalled rust and waterproofing protection to metal surfaces in need of a protective coating. The use of Pegarust on cladding provides a flexible, abrasion resistant coating with long lasting protection in all conditions. Rust-Oleum Pegarust Solvent-Based Noxyde can be applied using brush, roller or airless spray and has a theoretical coverage rate of 2-3 square metres per litre. It can be purchased in 5 litre and 20 litre containers. The use of Rust-Oleum Pegarust Solvent-Based Noxyde will eliminate the need for multiple products, as it provides a primer and topcoat all-in-one. Rust-Oleum Pegarust Solvent-Based Noxyde can be used in a variety of environments. These include marine enclosures, coastal environments and industrial exposures. Pegarust protects against the occurrence of rust and corrosion. Pegarust Noxyde dries in humid conditions and has a high resistance to water, salt spray and aggressive atmospheres. This rust preventative coating dries in humid conditions and has a high resistance to water, salt spray and aggressive atmospheres. May be applied in humid weather conditions. Minimum ambient temperature: -5°C. Tintable: Yes, Minimum Order Quantity 500 Litres. Please note, bespoke tints are non refundable / exchangable. Suitable Substrates: For iron, galvanised steel, aluminium, zinc, etc. Rustoleum Mathys Noxyde is a universal heavy duty, direct to metal, waterborne, elastomeric, rust preventative paint. A micro-porous topcoat for external and internal application onto timber, corrugated metal, masonry, plaster, concrete etc. A self-adhesive tape designed for work for edge laps when applying Rustoleum Noxyde systems to roofs and cladding. An ideal masking tape solution for masking windows, masonry, gutters, cladding and more. 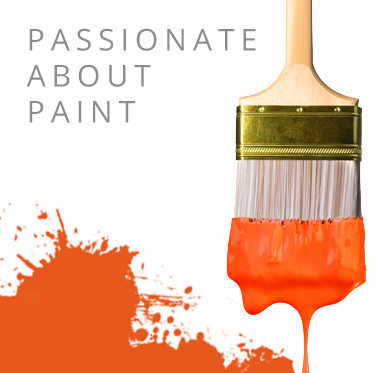 professional external paint jobs.